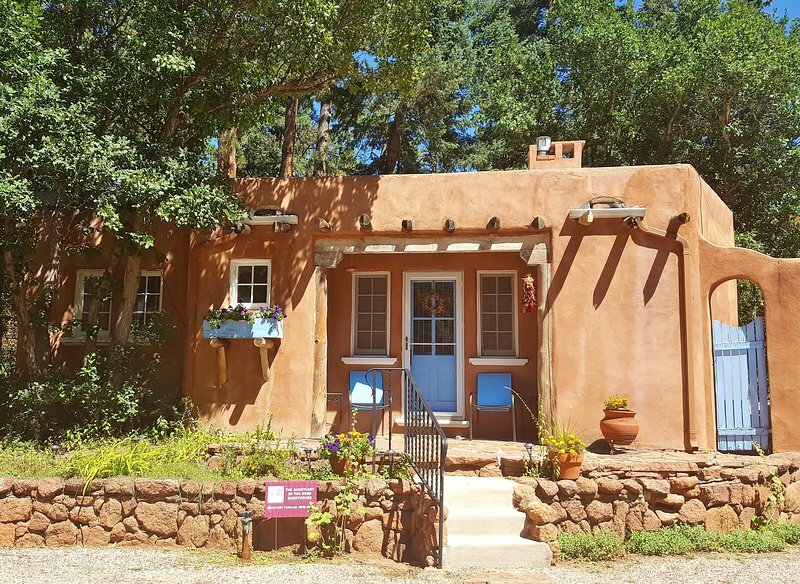 perfect place to relax - Deal!/Luxury Guesthouse for 2 by Pikes Peak with Mtn views/5 star reviews!! 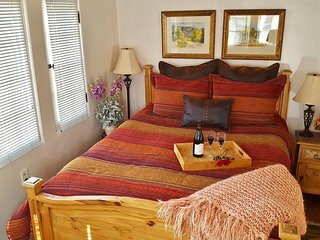 Deal!/Luxury Guesthouse for 2 by Pikes Peak with Mtn views/5 star reviews!! 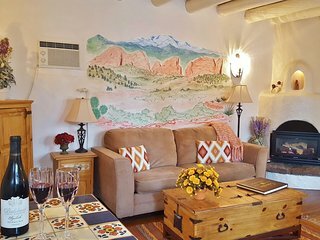 Review of Deal!/Luxury Guesthouse for 2 by Pikes Peak with Mtn views/5 star reviews!! It was an amazing experience! Ann (the owner) was very helpful giving us info on places and things to do, the place is like a small studio apt,out in the mountains.. very clean with nice furniture! perfect for couples!! we will come back!! Liked least: wanted to stay longer! All the reviews we read reiterated that everything has been thought of here for the comfort of the guest.We agee! From books and menus on the area and Colorado in general to tea ready for brewing, Ann has thought of everything. Can't imagine a more pleasant place for a couple to spend some time. Heartily reccommened. We loved the place it was so nice and quite.Great view. Cozy comfortable People we rented from very informative and very nice. From the moment we turned off of Hwy 24 and headed up Haggerman Road, we felt as if we were in another world. Coming from the Panhandle of Texas to this beautiful mountain venue was amazing. The Sanctuary of the Rose was everything we had hoped it would be. The owner, Ann, greeted us and made us feel so welcome. It was wonderful to have a little "home" all to ourselves. We could relax in the comfy living room. A small area with coffee pot, microwave and frig were perfect for our morning coffee and afternoon snacks. Plenty of lighting in all the rooms, and lots of fluffy towels and bath items. And outside in back: our own little patio with a bistro table and chairs for enjoying the cool mountain air. But one of the most amazing things was the labyrinth constructed of stones. A beautiful peaceful place to walk and meditate and get away from the rest of the world. We were there 3 nights, and it was perfect. I only hope we can return. Liked least: The bed. But we told Ann and they were going to improve. Loved, loved, loved our 2-nite stay here. Soooooooo close to Pike's Peak and yet so secluded and quiet. We stayed here while we checked off another bucket list item of riding the Harley to the top of Pikes Peak. Great spot to "remember" our trip away from the ho-hum of regular nights in hotel. Gorgeous, comfy furnishings and lots of little things to make your stay extra special. are very nice and give you all the privacy that you want. It is perfectly located -- only a few minutes drive to many of the sights and attractions, but in an extremely quiet spot. We explored every day, but our favorite time of the day was when we came back "home" to relax! This was the most comfortable place I've stayed in. It had everything I needed and the little extras made all the difference. I was sad to leave!! The bed and bedding were great and if there was something you needed or forgot it was already there. Looking for a place to stay in Colorado Springs?